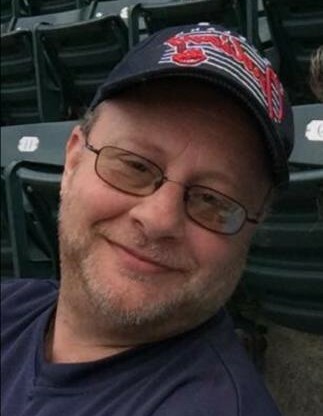 James “Jimmy” N. Williams, age 52, died Sunday, March 17, 2019 at University Hospitals Cleveland after a courageous 2-year battle with cancer. Jimmy was born on June 2, 1966 in Conneaut the son of Perry J. and Connie S. (McElhaney) Williams, Sr. He was a 1984 graduate from Conneaut High School and worked various jobs, Crawford Container, Vygen and Bailey. Jim was employed as the Manager of Advanced Auto Parts in Girard, Pa., until he became disabled. Jimmy was an avid sports fan. He loved to play slow-pitch years ago for “Pape’s” and he enjoyed bowling at El-Camp Lanes. Jim was passionate about coaching his daughter in bowling, softball and basketball. He loved the Cleveland Browns, Indians, Cav’s and the Ohio State Buckeye’s. He also played “Sim” video games and fantasy football and enjoyed going to casinos. He especially loved the time spent with his family and Cynder his dog. Jimmy is survived by his mother Connie Williams of Conneaut, his wife Michelle “Missi” Williams of Conneaut, two daughter’s Macie Rae Cameron and Celeste Nichole English-Williams, two grandchildren Kale and Remi all of Conneaut, sister Julie Williams (Jim Tupa) of Conneaut, brother Perry Williams, Jr. of Conneaut, and several nieces, nephews, aunts, uncles and cousins. He was preceded in death by his father Perry Williams, Sr. and granddaughter Lanie Powell. Visitation will be held on Thursday, March 21, 2019 from 3:00 p.m. to 7:00 p.m. at the Raisian Family Funeral Home, 581 Harbor St, Conneaut. Mass of the Christian Burial will be held at 10:00 a.m. on Friday, March 22, 2019 at St. Frances Cabrini Church, 744 Mill St., Conneaut, with Fr. Philip Miller of Corpus Christi Parish officiating. Burial will follow at St. Joseph Cemetery, Conneaut. Memorial contributions in Jimmy’s memory can be made to C.L.Y.O. Envelopes will be available at the funeral home.